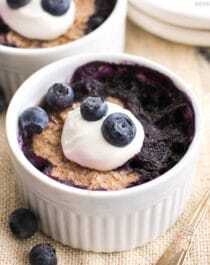 These Healthy Microwaveable Blueberry Quinoa Flake Muffins are moist, dense, berry-full breakfast “muffins” that you can make in a few minutes flat! 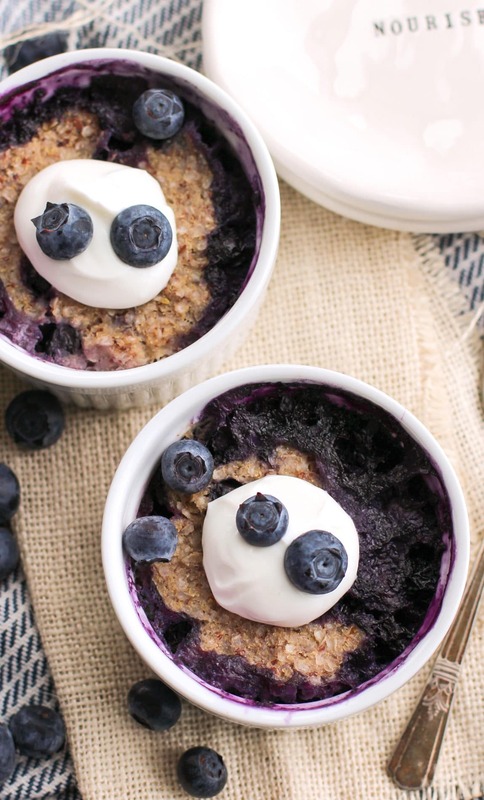 Made with quinoa flakes instead of refined flour, these nutritionally balanced muffins will power you through your day. Each muffin has just 150 calories and 3.5g fat, plus 4g fiber and 5g protein! 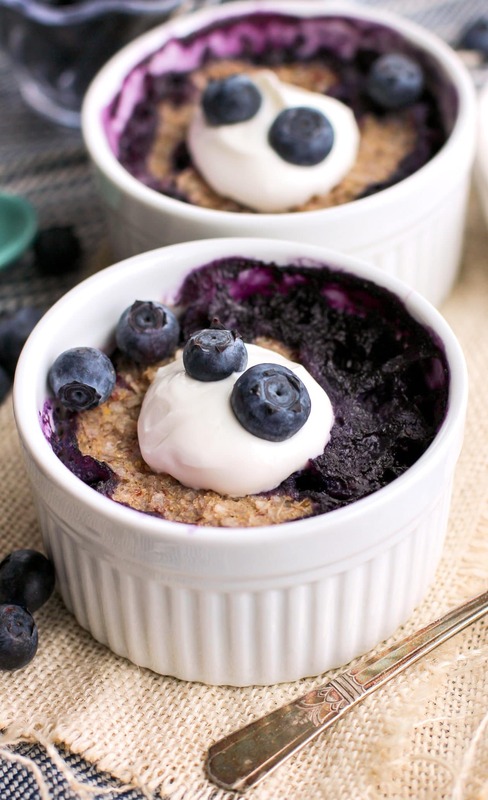 These Blueberry Quinoa Flake Muffins are moist, dense, berry-full breakfast "muffins" that you can make in a few minutes flat! 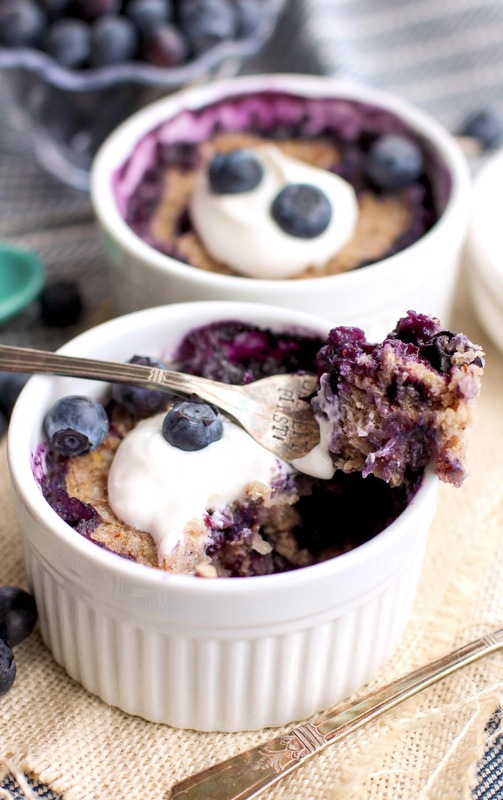 In a bowl, stir together the frozen blueberries, milk and vanilla. In another bowl, whisk together the quinoa flakes, flaxseed meal, sweetener and salt. Dump the dry ingredients into the wet ingredients and stir together until fully incorporated. Spray 2 ramekins (mine were 3½" in diameter) with cooking spray and scoop in the batter. Microwave for 4 minutes, or until the surface of the muffins spring back when tapped. Let cool, then enjoy! Now THIS is a breakfast you can feel good about eating. 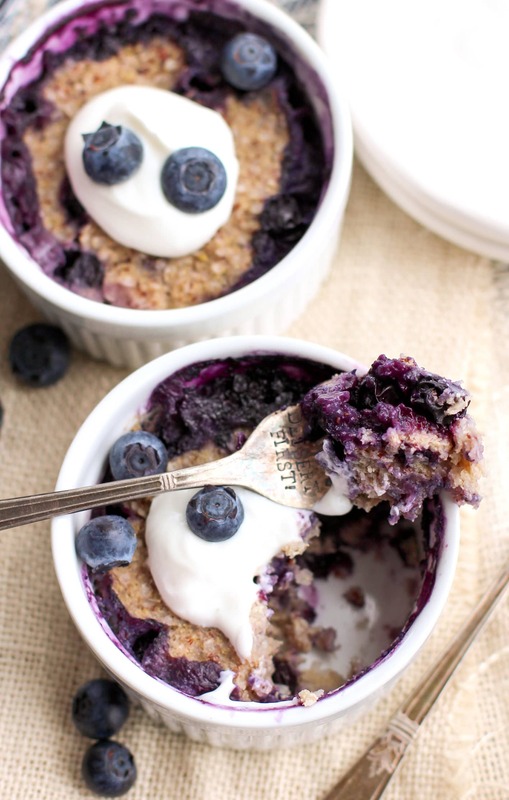 The texture is like a mix between a dense muffin and moist baked oatmeal. Served warm, it’s comforting, sweet, and satisfying. Juicy blueberries burst with each bite! What would you recommend for temperature and time if you baked these? This recipe looks delicious! Thank you for sharing it.